The Super 8 Pontiac is conveniently located just off I-55, on Historic Route 66. We are within minutes of Downtown Pontiac, featuring quaint shops, gourmet cafes & brick streets. The Super 8 is located near the Greyhound Bus Station, Peoria Charter Coach and the Amtrak Station. Visit the historic Livingston County Courthouse, Humiston Woods Nature Center or the Swing Bridge crossing the Vermillion River. 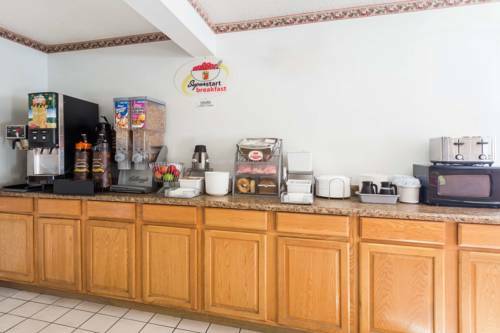 We provide free high speed wireless Internet, complimentary SuperStart breakfast and ample free truck parking. Our rooms feature 25 inch TVs with extended cable and free HBO, alarm clock radios and hairdryers. Many of our rooms also include micro-fridges. Single rooms have recliners and work desks.